"The history of Camp Gordon Johnston was the history of the American war machine that rumbled into action after Pearl Harbor, December 7, 1941, a product of Army planning which began far back in the depression years of the 30s, when the American public little realized the threat of another war. "* At Camp Gordon Johnston a pivotal weapon of WWII was produced for the Army  the amphibious soldier! Camp Gordon Johnston, a WWII amphibious training camp, provided some of the toughest military training in the world. With Florida's sandy beaches, swamps, and jungle-like forests, combat in the Pacific Islands and landings in the European Theater was simulated. Camp Johnston was opened in September 1941. First called Camp Carrabelle, it was later renamed in honor of Col. Gordon Johnston (1874-1934). Col. Johnston served in three wars and earned many decorations including the Congressional Medal of Honor for bravery during the Philippine Insurrection in 1906. If you take the scenic route from the west to South Florida (and you should) you will leave I-10 at Mobile, AL and proceed East on US98. It is a beautiful route that is often 2-lane  a quiet pleasant drive around the northern shore of the Gulf of Mexico. Near Apalachee Bay, where many believe the best oysters in the world grow, you will pass a place where thousands left for war  some never to return. Very little remains to mark where they prepared to do battle. If you look closely, far off the road, you might see a little asphalt from the old runways. 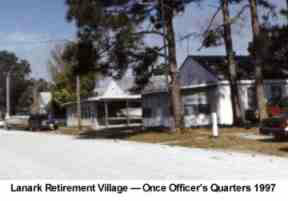 If you know what to look for, you will recognize Lanark Village, now retirement housing, as the old officers quarters'. Camp Gordon Johnston covered 165,000 acres in the "Big Bend" area of Florida, 55 miles south of Tallahassee and extending 36 miles along the shores of the Gulf of Mexico. Much of the territory was left in its natural state for training purposes. St. George and Dog Islands, uninhabited at that time, were used for invasions and amphibious landings. During WWII there were about 10,000 soldiers and civilians permanently assigned to Camp Gordon Johnston. They ran the facilities and provided the specialized training. With the rotation of entire reinforced Army Divisions, the camp population would increase from 24,000 to 30,000. As a result, Camp Johnston became much larger than the surrounding towns. WWII ended on August 14, 1945. The camp was deactivated and closed in 1946. Later, the building facilities and land were sold as war surplus. 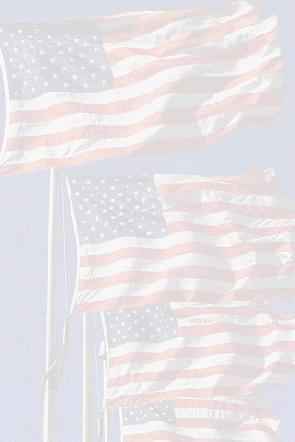 *Excerpt from "Camp Johnston is Remembered" by Mays Leroy Gray writing in the Wakulla News, February 27,1997 as were most of the other details on this page. It won't be complete. though, until the details are filled in by the individual brave men and women who served there. Send me your memories and pictures for inclusion here.